Look at the expression on his face and the way his body is. What does this tell you about how he is feeling? 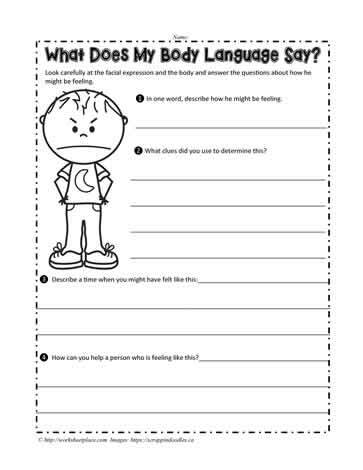 Body language worksheet for kids.